After thoughtfully reviewing the diversity assessments performed by independent firm Halualani & Associates, each of Indiana University’s campuses have started to strategically implement responses to the recommendations that were made, as the entire university continues to strive for inclusive excellence. The multi-report assessment, which concluded with a retention and graduation report for each campus, found that IU’s campuses have several themes that are consistent across the board. However, based on its specific report, each campus is developing or aligning its strategic action plan for student success opportunities by embedding diversity into strategic plans, focusing on high-impact practices, identifying metrics and using data analytics to continuously refine the campuses’ data-driven processes. The IU Bloomington campus is increasing funding for historically underrepresented minorities, financially disadvantaged and first-generation students to $27.5 million by 2025 and increasing funding for academic support programs. IUPUI has expanded the pool of advisers for African-American, Asian-American, Latino and LGBTQ+ students within the campus Multicultural and LGBTQ+ centers, helping them to better navigate campus, connect with mentors, access campus services and promote retention and graduation. The faculty-led Diversity Commission at IU East is revising its action steps in response to the retention and graduation report about its campus. Similarly, the IU Kokomo campus is preparing a comprehensive response to the Halualani & Associates diversity assessment. 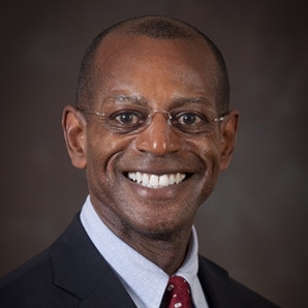 The IU Northwest campus has prioritized diversity in its campus strategic plan and is identifying metrics and subsequent action steps for each objective specifically related to diversity by promoting equity, the recruitment of diverse students, faculty and staff, collaborative community partnerships and the use of data. IU South Bend’s Office of Academic Affairs has committed to identify additional funding streams for the expansion of the Leadership Academy, a summer program for first-year students from underrepresented communities that includes course credit and has led to positive retention and graduation rates and co-curricular participation. The IU Southeast campus incorporated the recommendations from the diversity assessment into the development of its current strategic plan, taking the inclusive approach of distributing diversity goals throughout the plan, as opposed to creating a separate campuswide diversity plan. “I am pleased that all IU campuses, while at different stages of implementation, have integrated inclusive excellence as a framework, weaving it into their campus strategic plans,” said Yolanda Treviño, assistant vice president for strategy, planning and assessment in the Office of the Vice President for Diversity, Equity and Multicultural Affairs. As needed, the Office of Diversity, Equity and Multicultural Affairs will be available to provide resources to campuses through Wimbush at the senior administrative level and through Treviño, who will work directly with campus chief diversity officers and coordinate channels of dialogue in order to share best practices. Full reports from the diversity assessment can be found at diversity.iu.edu.